For installation, repair, or maintenance of an HVAC system in the Tampa Bay area please request a free quote and consultation from Air Zone today! Air Zone Air Conditioning & Heating, Inc.
Pay Your Invoice Online With Ease! Visit Airzonetampabay.com for the most current energy effecient HVAC units and products, air conditioner repair special offers and air purification systems. Air Zone Air Conditioning & Heating, Inc. is located in Oldsmar, Florida. We are dedicated to providing the best possible AC and Heating repair and solutions for your Tampa bay area home or business. 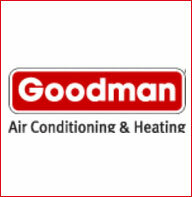 You can count on us to provide you with heating or cooling systems and solutions that fit your unique needs. Since Air Zone Air Conditioning & Heating, Inc. has installed many systems in the Tampa bay area, we have earned a reputation for getting the job right the first time. Whether you need AC repair, 24/7 Emergency AC repair services or HVAC Installation, Airzone has decades of experience in HVAC repair, products and solutions. AC repair and installation in Carrollwood,Odessa and neighbouring areas. Air Zone Air Conditioning & Heating, Inc. Conditioning has a tradition too. We enhance the the products offered by doing “Whatever it Takes” to provide exceptional value and service to Tampa home owners in meeting air conditioning and heating products needs. Whether your Tampa area home needs AC repair or you need or an entire new HVAC system, Air Zone Air Conditioning & Heating, Inc. provides the experience and trust needed to Tampa homes comfortable and efficient. Let Air Zone Air Conditioning & Heating, Inc. help you build the right HVAC system for your your Tampa Bay area home. We’ve got the experience you need – Your Comfort is Our Business. Copyright Air Zone © 2016. All Rights Reserved.